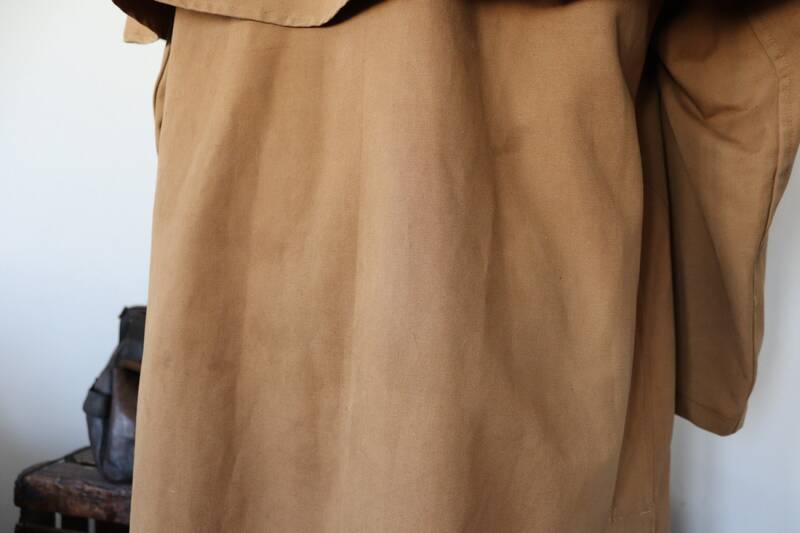 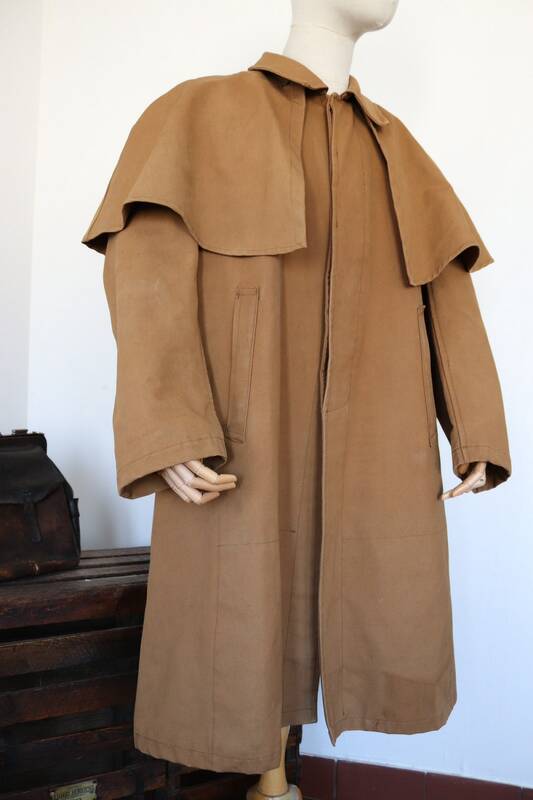 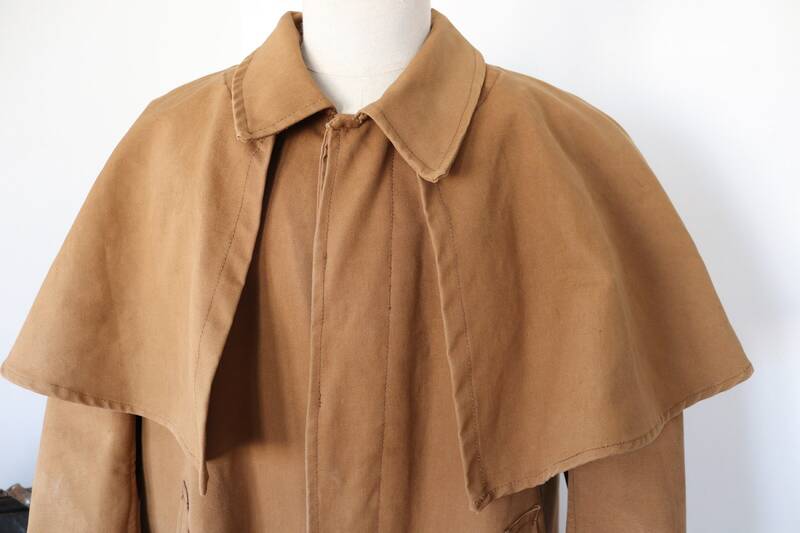 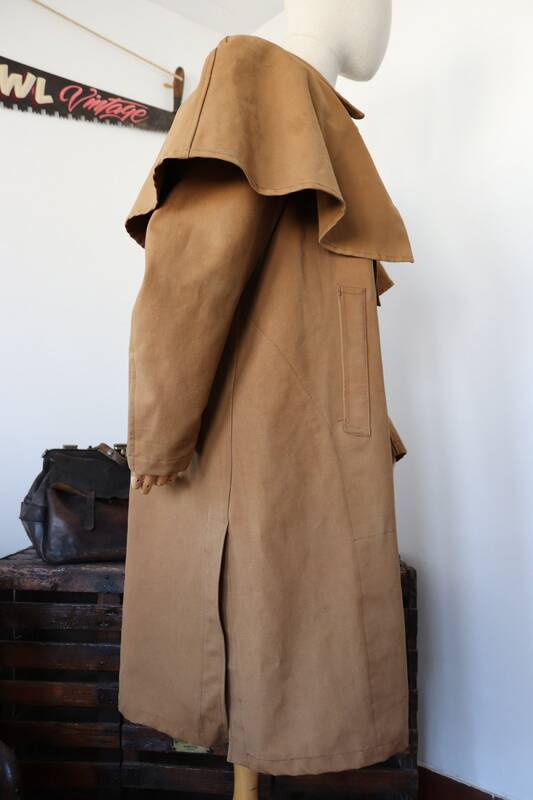 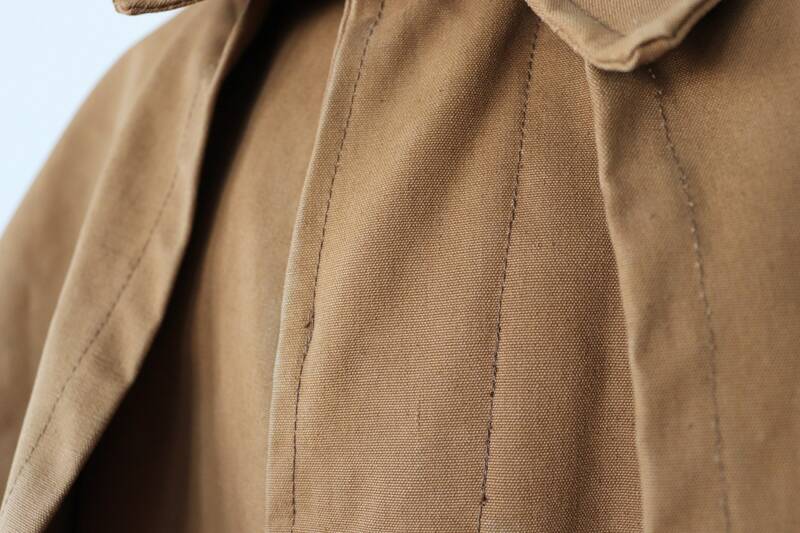 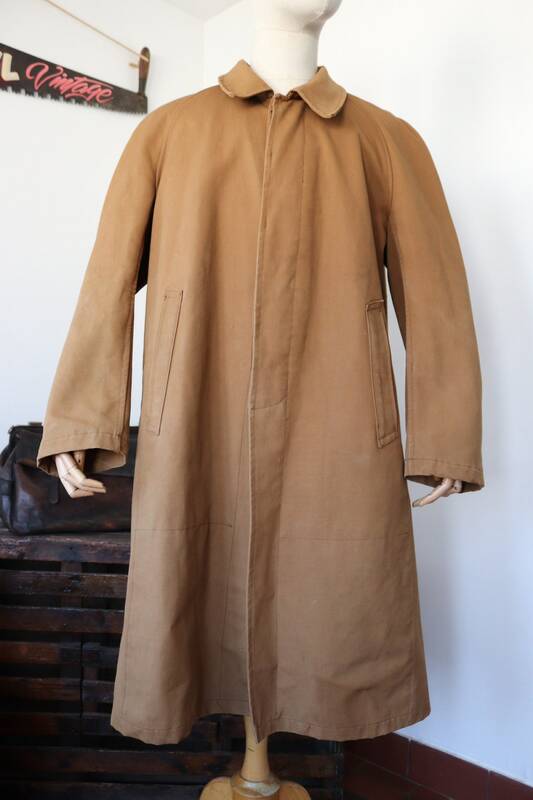 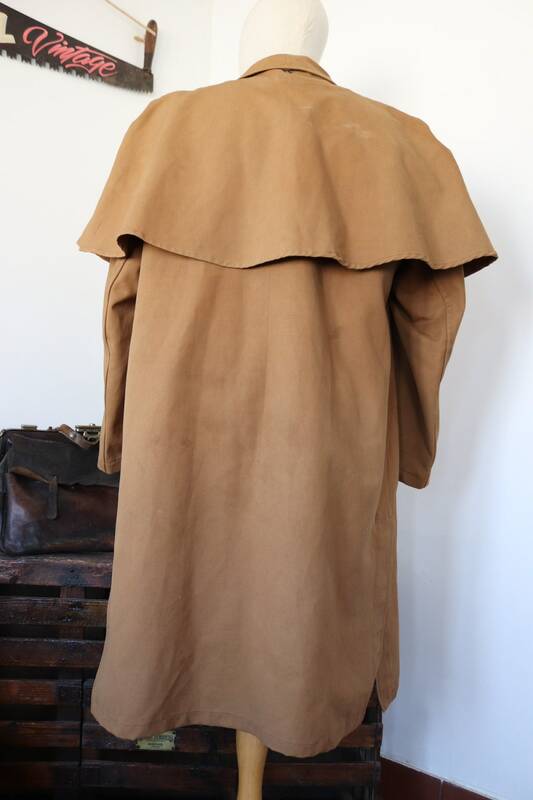 A heavyweight, tan brown French raincoat, dating from the 1940s. 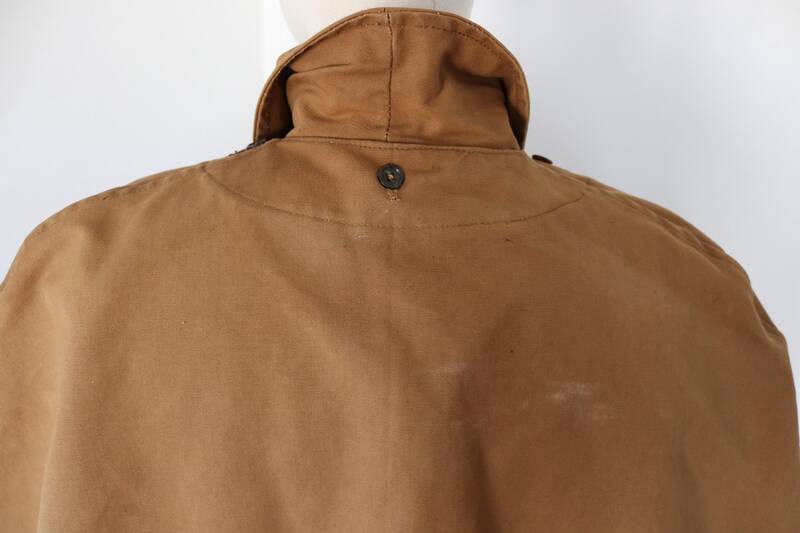 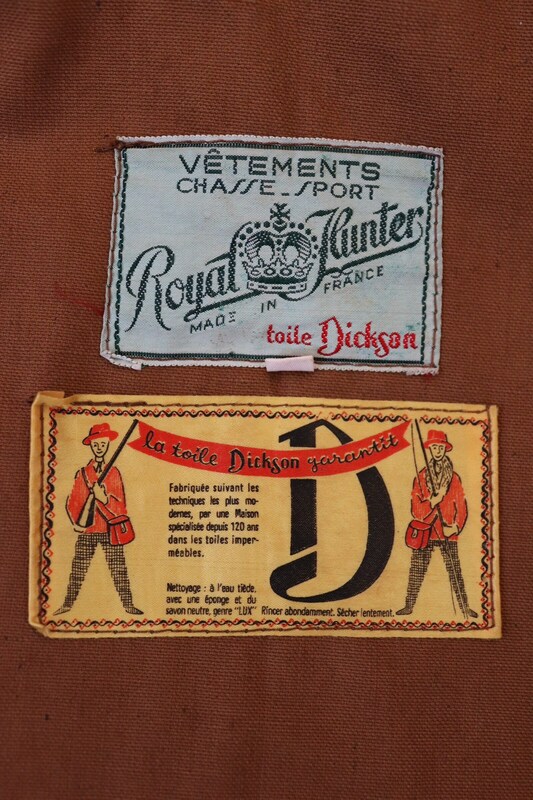 Noted flaws - some faint marks on the back, but generally appears to be only very light worn, if at all. 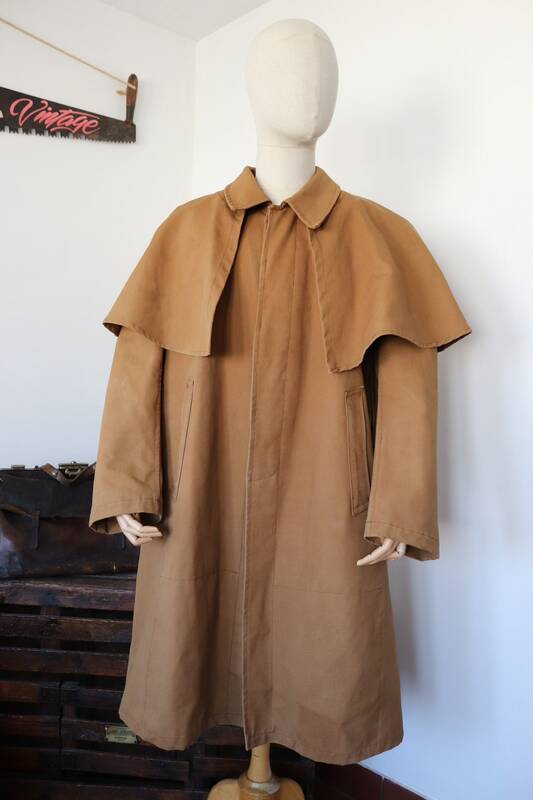 Removable shoulder cape, thick, heavyweight but supple canvas, all seams are solid, splits at either side for easy walking, two hand pockets, hidden buttons, raglan sleeves, great style and quality, weighs 2.8kg.